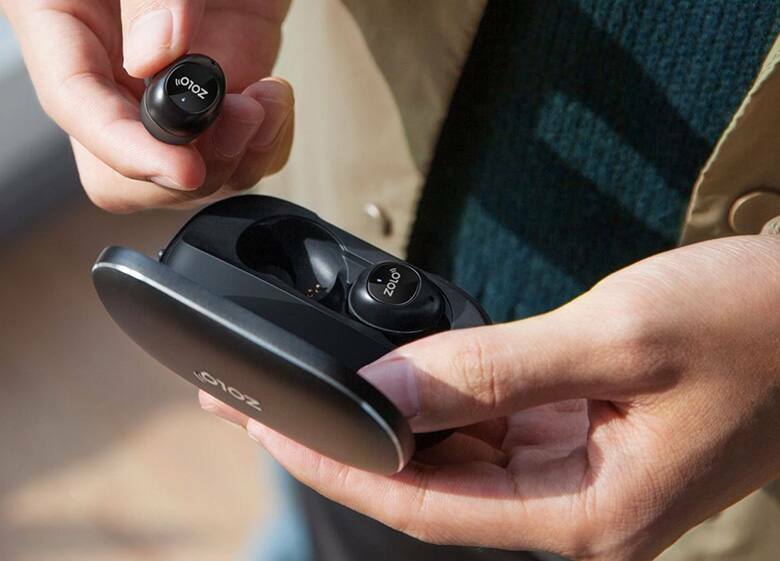 These true-wireless earphones pack amazing sound quality along with comfort and convenience. Today's modern lifestyle has us consuming most of our music and entertainment while on the go, and managing cords and being tethered to a device is quickly becoming a big nuisance. I've lost count how many times my phone has been yanked to the ground while using wired headphones, and having a cord flopping around while running or at the gym is a huge distraction. I managed to get my hands on a pair of Zolo Liberty+ earphones thanks to our recent trip to CES, and many playlists later, I'm ready to give you my full review. Special thanks to Zolo Audio for providing a pair of Liberty+ earphones for this hands-on first-look! Up to 48 hours additional audio playback time with charge case. Initial setup for the Liberty+ earbuds literally takes five seconds — it's the easiest and quickest time I've ever had pairing a device with my phone. Simply remove both Liberty+ earphones from its charging case, open your device's Bluetooth settings menu, and select "Zolo Liberty+". That's it! There are no buttons to hold down, no prompts to wait for. Both earbuds connected to my Google Nexus 6P phone without issue, and automatically turn on and reconnect whenever I take them out of the case. Placing the earbuds back in the magnetized aluminum case turns them off and starts the charging process. Zolo advertises a virtually unbreakable connection thanks to the use of LDS antennas — the same technology found in satellites and drones — and so far, this claim has held true. During my 25+ hours of use, I didn't experience any connection issues between the two earphones. Occasionally, when I first insert the earbuds, the second one doesn't automatically turn on, but pressing the on-board button powers it up and everything is business as usual. I have yet to reset or re-pair Liberty+ because the connection is rock-solid, and the Bluetooth 5.0 technology lets me walk about 20 feet away from my device before the signal starts cutting out. Like most people, I have a short list of go-to songs to test a range of sound quality and clarity. For booming bass, I throw on "Talk Dirty" by Jason Derulo and DJ Snake's "Turn Down for What." To check mids and highs, I'll listen to the swoon-worthy vocals of Sam Smith and John Legend. It didn't take long for me to be amazed by the sound coming from these lightweight earbuds — the bass hits hard while the highs come in crystal clear. 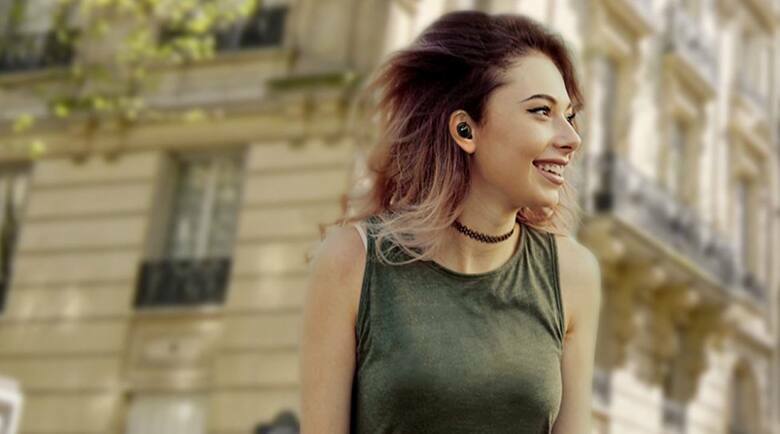 I have plenty of experience with a variety of wired and wireless earbuds (some costing hundreds of dollars), and the Liberty+ delivers a noticeably fuller, cleaner sound when compared to earphones often seen on Slickdeals. The overall audio quality is comparable to ultra-premium brands like Master & Dynamic (yes, I actually have a pair of these). I'd say Liberty+ even gives many over-ear headphones a run for their money, especially in terms of rich bass delivery. 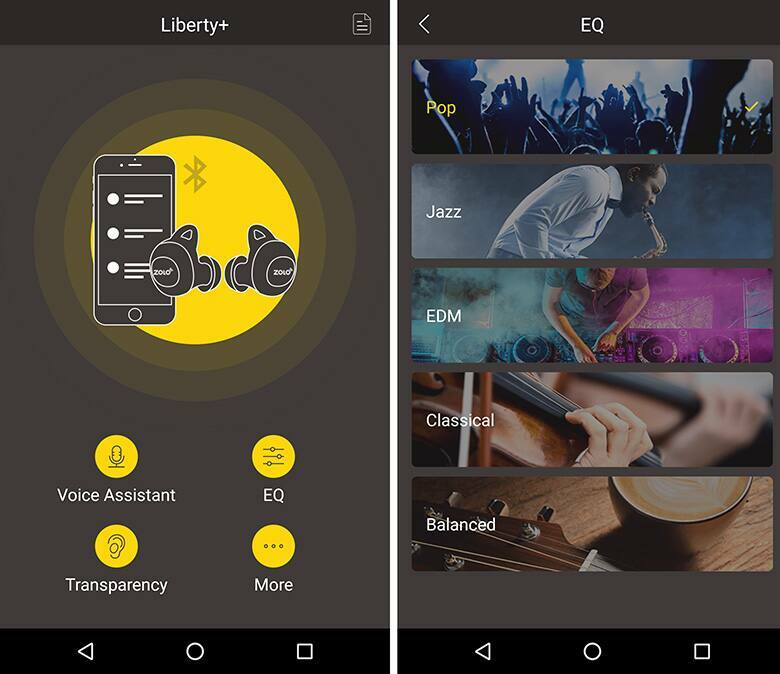 The accompanying Zolo Life app (compatible with Liberty+ model only) also allows users to adjust equalization (EQ) to their tastes — choice of preset mixes include Pop, Jazz, EDM, Classical, and Balanced. Unique to the Liberty+ model, Transparency mode lets outside sounds pass through for safety or awareness. Since Transparency mode uses the built-in mic to communicate environmental sounds, there's a constant white noise behind your music, and extraneous sounds, like keyboard typing, are particularly loud. And because the mic is optimized for phone calls, you won't be able to clearly hold an in-person conversation while listening to music in Transparency mode, but you will know that someone is trying to get your attention. I don't see myself using Transparency mode because I want the best music experience, but I can see how it might be useful for when you're running with traffic behind you, or in crowded environments. Is Zolo Liberty+ Right for You? Priced at $99 for Liberty and $149 for Liberty+, these earphones are best suited for those who want more than just a background soundtrack at the office or in the gym. 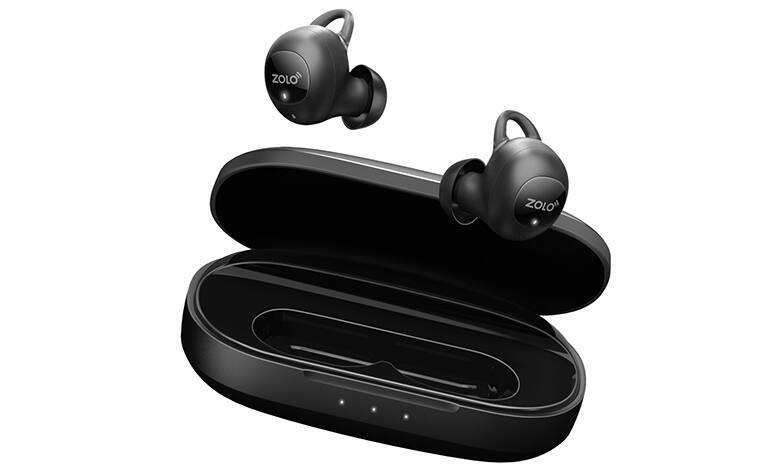 Zolo's Liberty+ lets you enjoy your favorite music with rich and full sound, using a truly wireless solution in a lightweight and comfortable form-factor. I've used these earphones for hours on end, and often forget that I'm even wearing anything. And for those who like to escape with their music, the design of the ear tips seal so well that they block outside sounds for a distraction-free listening session. These earphones are a great complement to an active lifestyle, offering convenient voice calling and quick access to your smart assistant of choice — double tap either earphone to activate Siri, Alexa, or Google Assistant. You also won't have to worry about losing Liberty+ during your adventures because the GripFit jackets keep each earphone snug in your ears — insert and twist to "lock" them in place. After being on sale for just a few weeks, the Liberty+ earphones are completely sold out, but we're assured by Zolo that they'll be back in stock soon. In the meantime, you can pick up the similar-performing Liberty model at Amazon for $99. Want to experience the premium sound quality and convenience of Liberty for yourself? 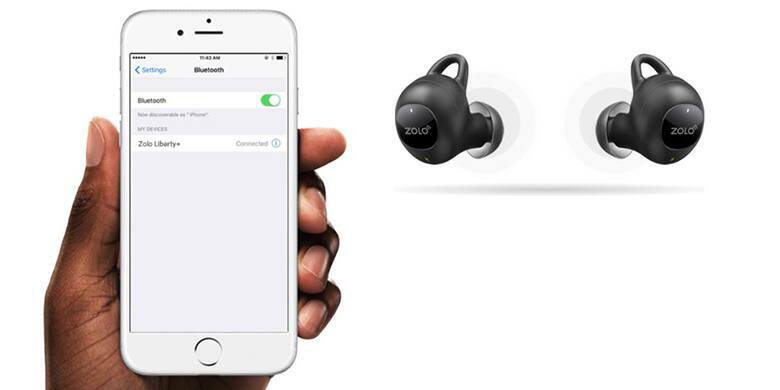 Enter our giveaway below for a chance to win a pair of Zolo Liberty true-wireless earphones!